Goodreads Reading Challenge (2016) – African Book Addict! December 29, 2016 January 5, 2017 by Darkowaa17 Comments on 2016 Recap & My Top 5! Other: 2 books (these are non-African/non-diaspora books. I read books written by – Rupi Kaur and Tim LaHaye). These books took a toll on my emotions the most! If you’ve read my reviews for these books, you know exactly why they’re my top 5 of the year. Definitely look into reading these 5 books if you haven’t already! Reviews for books read this year are in the Book Reviews section of the book blog. [Missing reviews (6 of them) will be posted in 2017]. What were your top 5 favorite books of 2016? Purchased this Achebe classic for my little cousins over the summer. ‘Chike and the River’ is suitable for ages 7-11! Ankara Press books are now in paperback and available at Vidya Bookstore in Osu, Accra! An array of books displayed after a reading, hosted by Writers Project Ghana at the Goethe Institute. Collage I created for my review of the Caine Prize stories this year. Bought this gem from the 14th Ghana International Book Fair! Book + African City tote bag giveaway #2. Winner was announced late November; Third book (Sweet Medicine by Panashe Chigumadzi) winner was announced the same day. Chuma Nwokolo and member of CACE at the Storymoja Festival in Accra. Ghanaian authors – Ayesha H. Attah and Ayi Kwei Armah in conversation at ‘Brazil House’ James Town, Accra. Awesome (but expensive) array of books on display at Brown Sugar boutique in Osu, Accra. Ghanaian kid lit on display at the 14th Ghana International Book Fair. Author – Celestine, of book blog -‘Reading Pleasure’ (https://readinpleasure.wordpress.com/) signing my copy of her African Haiku collection, at her book launch! Favorite book of the year! Please read it if you haven’t yet! Brunch over Books’s maiden event at Cafe Kwae in Accra [with my bissap (hibiscus tea) cocktail and the book I exchanged]. African Book Addict! 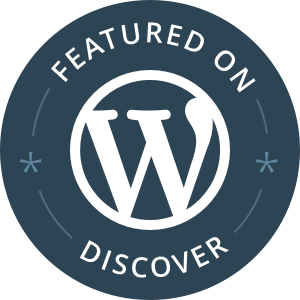 was featured on Mary Okeke Reviews and Brown Books & Green Tea for the blogger spotlight project and #DiverseBookBloggers feature, respectively. In May, I joined the ladies of Not Your African Cliché podcast to discuss Somali-Brit writer – Warsan Shire, Beyonce’s album Lemonade, and the need for us (Africans) to support our art/artists more. At the beginning of the year, I set 4 reading goals and I believe I’ve achieved most of them! I also set out to read more poetry: I wasn’t a big fan of poetry prior this goal, but I ended up reading 5 poetry collections and seriously enjoyed them! I hope to continue reading and feeling the words of many more great contemporary poets in the years ahead. I wanted to broaden my horizon and read 1 African romance novel and/or 1 African thriller: Thanks to Ankara Press, I was sent 2 African romance novels in exchange for honest reviews. With regards to an African thriller, I read Tendai by Boakyewaa Glover which is actually of the science-fiction genre, but felt like a thriller to me! (watch out for the review in 2017). So maybe I kinda sorta missed the mark on the African thriller goal? My final goal was to give back by hosting 2 or 3 giveaways this year: I achieved this by officially hosting 2 international giveaways and gave away 3 books in total (plus a cute African City tote bag to hold books!). It’s truly rewarding to see that I have reached my goals, especially with my hectic (dental) school schedule. I always had these goals at the back of my mind and slowly tried to achieve them on a daily monthly basis. I’m proud of these achievements! Were you able to achieve some of your 2016 Reading Goals? Happy New Year, everyone! We are in the year 2016 – how crazy is that? I’m grateful I made it to 2016 and I’m quite excited for the awesome year ahead! I will be participating in the (2016) Goodreads Reading Challenge, as usual. But this year, I don’t have a set goal of books to read. I’m just going to read what I can and see how far I go. As my second degree, I mentioned before that I’m currently in a 6 year dental medicine/surgeon program (class of 2020…sigh, I know!) in Accra, so I’m usually busy with school work. I tend to read the bulk of my books during the one month Christmas break and Summer break (which is about 2 months). Since I read sparingly during the school year, once Christmas or Summer break rolls along, I usually binge-read and sometimes knock out 3 books in a month, depending on my mood. To read a wider array of African novels. I tend to go for West African (Nigerian, Ghanaian), Kenyan and Zimbabwean fiction. I want to make a conscious effort to explore this year! More South African, Congolese, Botswana, Sierra Leonian, Namibian, Egyptian, Somalian, Mozambican fiction – anything that’s different from what I’m used to. Of course I’ll continue to read what I like, but a little more African novel diversity would be more inclusive and a fun learning experience! To read more poetry. I’m not really a lover of poetry, but I’ve come across some engaging, fun and comprehendible poetry collections that I’d like to enjoy this year, for a change. To read at least 1 African romance novel and/or 1 African thriller novel. When it comes to African romance fiction, I’m eyeing the chic lit/romance series from Ankara Press as well as novels by authors Nana Prah and Kiru Taye. I’m not very familiar with the thriller genre, but Liberian author Hawa Golakai’s thriller novel – The Lazarus Effect is one I’d love to read. Ghanaian author Boakyewaa Glover also has a thriller called The Justice that has been on my radar as well. We’ll see! No pressure though! Reading is personal, for everyone. For me, reading is a hobby where I enjoy myself and learn new things in the process; it’s never been a competition on how many books to read – quality over quantity. I hope I can achieve these goals by the end of the year – I would be proud. With these goals set, I think I’ll be reading with a purpose this year! Have you set any reading goals and habits for 2016? Does school, work or other life happenings affect your goals? Please do share! Stay tuned for more reviews/book discussions and other bookish stuff throughout the year!